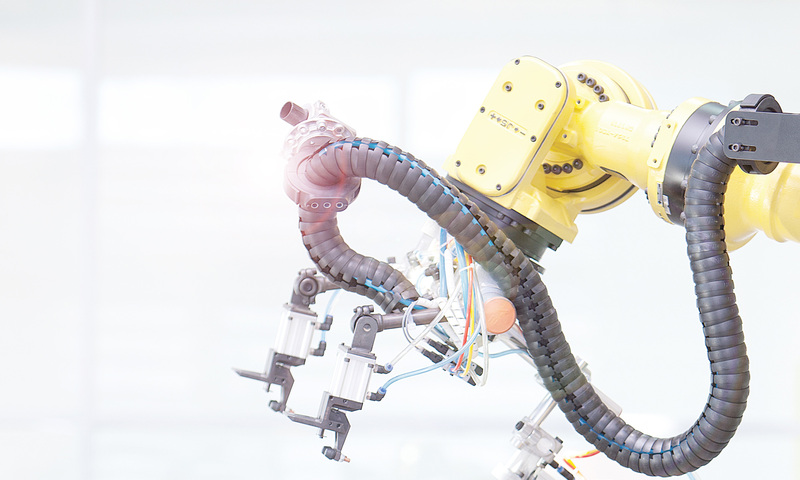 Paradigm shifts in automation are always occurring. The need for cost savings and higher diagnostics caused the shift from IP20 I/O to IP67 I/O. Now, we are in the midst of a shift to reduce or eliminate enclosures in industrial applications by removing control and power from the cabinet. With the reduction of IP20 I/O and enclosures, adding more I/O (discrete and analog) or specialty devices (RF identification, measurement devices, etc…) is now more difficult. In the past it was relatively easy, but expensive, to add another “slice” of I/O to an existing IP20 solution. In today’s applications, most OEMs are asked to build in a buffer of at least 20% additional discrete I/O points for possible changes or additions to the machine. This means installing I/O modules with either no I/O attached, or having multiple modules with 2 to 4 unused ports. This helps when changes occur in terms of discrete I/O, but gives no solution for analog channels, RF identification, measurement devices, etc. It’s with these no discrete devices; I feel the next paradigm shift will occur. I foresee a merger between a new technology and the standard buffering of unused ports on network modules in an application. Of course, these unused ports can not be standard ports; they will need to have some intelligence to them. IO-Link can provide the means to make this happen. Through IO-Link enabled M12 ports, an I/O module attached to a standard industrial network, such as Profibus, ProfiNet, EtherNet/IP, CC-Link, AS-I, etc., you can attach more discrete I/O, analog channels, RF identification, measurement devices to a network without adding more network cordsets, enclosures, or expensive network specialty modules. IO-Link allows point-to-point communication between an IO-Link enabled device and an IO-Link Master, which serves as a proxy between IO-Link and a standard industrial network. The open communication protocol allows a multitude of devices to be wired to a M12 IO-Link port. 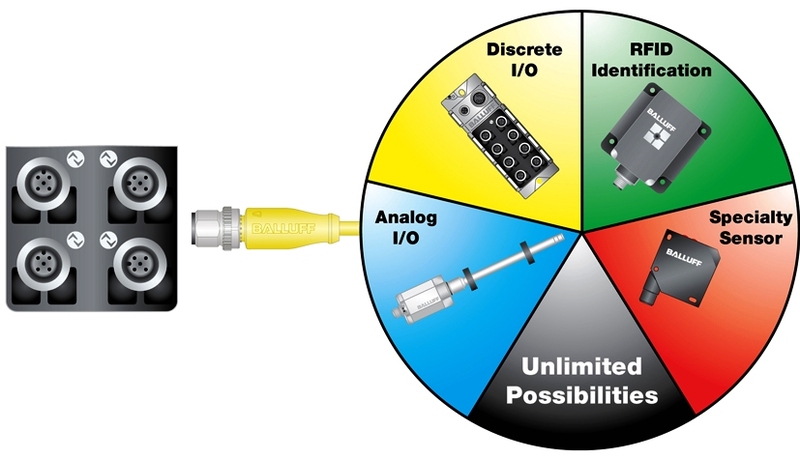 In short, one M12 port = endless possibilities, with the aid of IO-Link. For more information on IO-Link, click here. Next PostNext What is the hysteresis of your magnetic field sensor?